Housewife Blues and Chihuahua Stories. 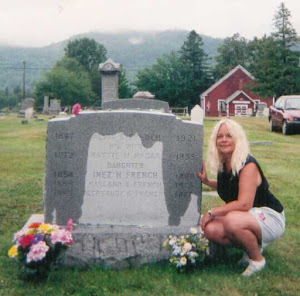 Her Blog is a lot of fun - and what a great name! The soon-to-be Mrs. Ella Westin doesn't remember adding 'solve a murder' to her bridal to-do list but when she stumbles over the dead body of her matron of honor, it looks like she'll have no choice. Especially as her groom is the one and only suspect. Throw in bad weather, a deaf hairdresser, a ruined wedding cake and a not so retired pirate and it's enough to make Ella want to throttle everyone in sight. I'm published! This is my first short story in the Westin Series and I'm so excited. 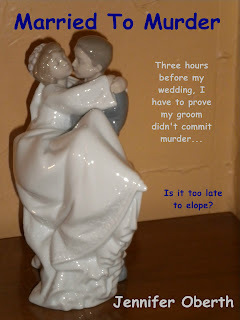 Head on over to Smashwords and sample 50% of Married To Murder. I'm sure you'll love it so much you'll buy it right up! I thank you guys for your support and can't wait for your feedback!